Is Keto and Italian Food An Impossible Combination? If you associate “Italian food” only with pizza and pasta, yes, it looks impossible to survive keto. 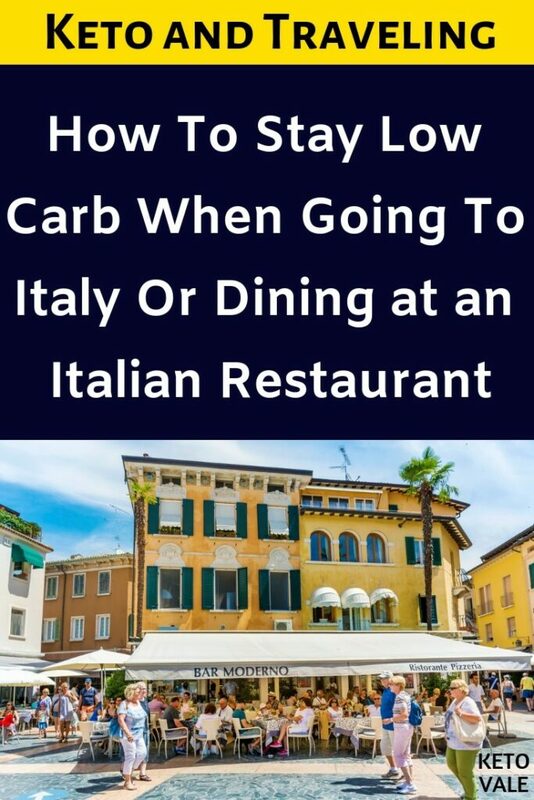 However, if you have the chance to visit Italy or go to an authentic Italian restaurant, you’ll soon discover that Italian cuisine is much more diverse than that and that a big part of it is actually compatible with a low-carb diet, and even keto diet. Want to know how to navigate an Italian menu? Read on! 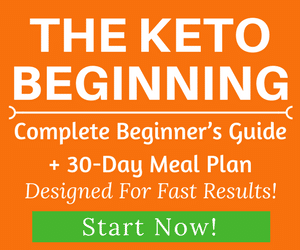 Before we start, you need to know that eating out might not meet the requirements of a strict keto plan. It’s usually very hard to get all the keto-friendly ingredients in a dish when ordering at normal restaurants. 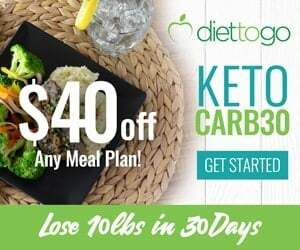 For that reason, if you follow a keto diet strictly or for medical reason, it’s best to stick to home cooking because it allows you to have total control of all the keto-friendly foods that you use in your dish. Most Italian restaurants in the States (or anywhere else but in Italy) usually adapt to local tastes and feature lots of pasta and pizza, however, if you have the chance to go to Italy or to a really authentic Italian restaurant, the first part of this article is for you. For tips on most Italian restaurants, check out the second part. Pasta is indeed one of the staples of Italian cuisine and is one of the most important culinary exports of Italy, together with pizza. As the base of both pizza and pasta is made of white flour, both of these foods are very high in carbs – and it obviously won’t be a good idea to have them if you want to stay in ketosis. Nevertheless, Italians eat plenty of other foods, too, and if you go to Italy you’ll discover a myriad of amazing dishes that are not at all carb heavy and lots of meat and cheese of outstanding quality. In the menu of local restaurants, you’ll notice that all pasta is typically grouped under “primi”, which is actually the first course. In it, you’ll also find risottos or soups, and it’s the most carb-heavy part of the menu. Some soups might be keto-friendly, but they might often contain pasta, potatoes or flour, so you can skip this section of the menu altogether. No need to panic, though! If you read a bit further, you’ll see that most menus contain a large section named “secondi”, which typically contains grilled or broiled meat or fish with vegetables. Grilled meat would be safe in most cases, and especially grilled beef or fish, since it isn’t typically marinated in sugary or starchy marinades (if you’re concerned about it, ask the waiter). Most meats and fish come with some kind of salad dish, which is usually a mix of vegetables, and occasionally it’ll consist of potatoes. You should be able to swap the potatoes for grilled or fresh vegetables in most restaurants. Beware that some dishes in the “secondi” part of the menu come with a sauce or gravy, which might sometimes be thickened with flour (see a list of keto-friendly thickeners here!). If you’re concerned about that, you can check with the waiter whether you can have the sauce/gravy on the side, but keep in mind that for many dishes it might not be possible, as the meat is often cooked in the gravy. Due to Italy’s huge coastline, seafood is excellent and it’s definitely worth trying. Grilled fish, octopus, and the like, are all great options for keto. If you’re somewhere at the seaside, give it a try! Additionally, you’ll see that many restaurants have “antipasti” section, which is the equivalent of starters or appetizers. 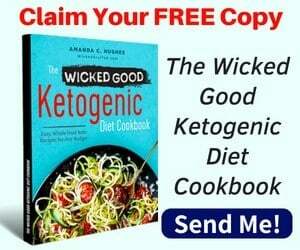 There you’ll have lots of keto-friendly options, such as cheese, cured meats, olives, sardines, and various vegetables, either fresh or in oil or vinegar. Often you’ll be able to order a mixed antipasto platter with a few options, f.e. a selection of cheese, salami and prosciutto. Sharing dishes is not at all uncommon in Italy, so feel free to order a mixed antipasto and share it with the person you’re with. Cheese and cured meats (such as prosciutto) are of exceptional quality in Italy, so that’s definitely a must if you’re there. Antipasto is typically enjoyed with a glass of wine, but, of course, there’s no obligation to drink, and if you don’t feel super hungry, you can directly order a main dish and skip the antipasto course. You don’t need to order a first and a second course; you can directly order a meal from “secondi”. Most locals often don’t order both courses, as portions of both are usually quite big and either one is completely sufficient for most people. Italians don’t really eat pasta and pizza every day – regional cuisine can be extremely diverse, and while both pasta and pizza are present anywhere in Italy, most locals have a variety of different foods that are certainly not limited to these two. You can easily combine an antipasto with a second course, for example, or just have one of these two. A second course will, naturally, be more filling than an antipasto. Pizza restaurants (pizzerias) might have limited alternatives to pizza – while many do, some specialize in pizza exclusively, so if you want to be sure to have a choice, we’d recommend going to another type of restaurant. In most cases, in pizzerias, you’d still be able to order antipasto, and there might be a few other options, too. Check the menu at the door before entering. Italian desserts are loaded with sugar, unfortunately. They usually include pastries, cakes, ice-cream and the like. 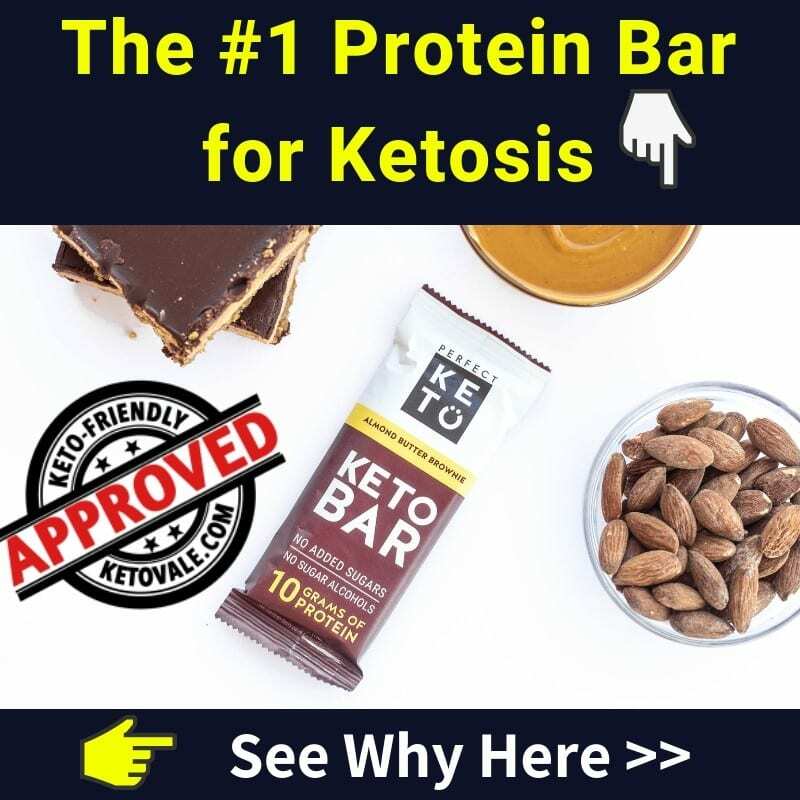 You’d need to avoid them if you want to stay keto – it’s unlikely that you’ll find an Italian keto-friendly dessert. One thing you should definitely try if you’re in Italy, and that you can order at the end of a meal, would be their excellent coffee – Italians are proud of it, and for a good reason. Keep in mind that if you order black coffee you’ll get a small cup, containing a shot of flavourful, strong espresso – that’s the default option. If you’d like to have something that is not as concentrated, “Caffè Americano” should get you what you’re looking for. Most restaurants in Italy display their menus at the door, so you’ll be able to take a quick look and see whether there are any options that are suitable for you. You might not be able to find that information online – not all of them will have a website containing information on the menu, but based on how popular they are, you might want to check photos in Google Maps or Tripadvisor to get a general idea of what to expect. 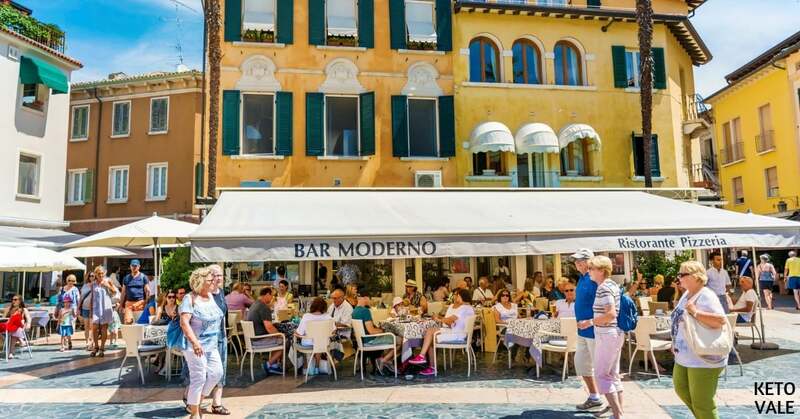 Waiters in Italy usually speak some English, especially in bigger cities or more touristic areas, and will generally understand English, even if they sometimes prefer to answer in Italian. However, if you decide to go off the beaten track and go to less popular destinations or smaller towns and villages (which can be incredibly charming, so if you have the occasion, definitely go for it), you might sometimes need to use a combination of Google translate, imagination and tact. While the service is very different from the US – waiters are usually less present throughout the meal and let guests approach them if they need anything, rather than check on each table a couple of times – they do care about the dietary preferences of the patrons of their restaurants and will make the necessary effort to accommodate to these. 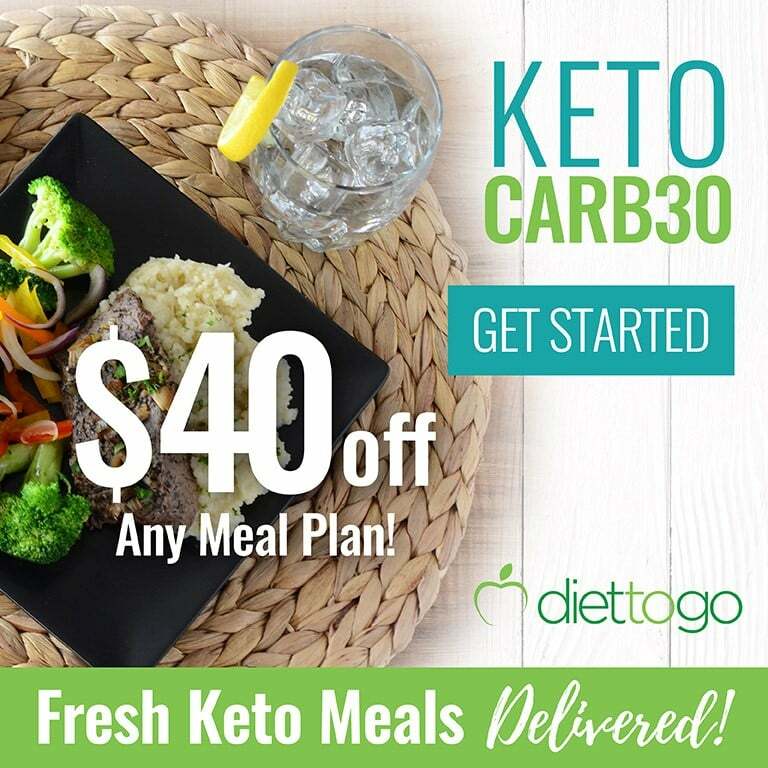 Terms like “low-carb” or “keto” won’t be widely understood (if at all), but if you tell them you’d like to not have bread/pasta/rice/potatoes, they’ll be able to recommend you a dish or ask the chef to accommodate your preferences. It might be useful to learn a few sentences in Italian or have a quick note on your phone (in Italian), explaining what you can and cannot have – if you make an effort to clearly communicate what you’d like to have, you won’t have any problems. Now, if you’re going to an Italian restaurant outside of Italy such as Olive Garden that has adapted to local tastes and local expectations of Italian food, things can be a little more complicated. Many restaurants specialize in pizza, pasta, or both, but don’t always include a lot of other options. You usually won’t see the part with second courses at all, and starters might not be as keto-friendly as in Italy, but you’d still usually be able to order something among the lines of cured meat, cheese and veggies as a starter. 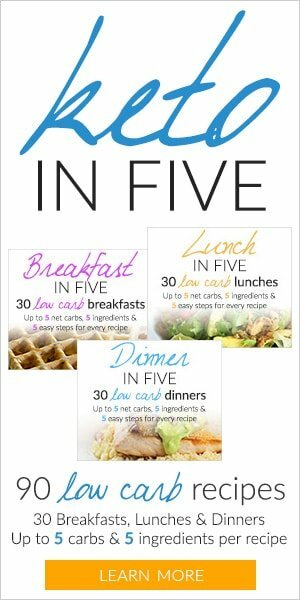 Most restaurants do have salads or a few other low carb options, so you’d probably have a choice, although somewhat limited. Many Italian restaurants will have steak or grilled chicken, or some sort of seafood. If you order a salad, make sure to ask to have the dressing on the side, and also to check with the waiter what’s in it precisely. While typical Italian dressings aren’t carby, with restaurants it might be difficult to be sure. The same goes for meat – if it comes with any sauces, make sure to ask to have them on the side, and also ask whether the meat has been marinated and if yes, ask whether the marinade contains sugar. If in doubt, get a steak that hasn’t been marinated, or stick to a salad with a good protein source. Meatballs might seem like a good option, but they’re usually made with bread, so make sure to ask the waiter whether that’s the case, and see whether they can prepare a version without bread for you. You can always ask to swap pasta for mushrooms or broccoli and choose a sauce that isn’t carb-heavy. Beware of tomato sauces that might contain sugar – ask your waiter if in doubt. If you’re able to check the menu ahead of time (for example, on the website of the restaurant), this will give you an idea of what your options are. Most restaurants will also be able to adapt to different preferences and styles of eating, including low-carb – unless the restaurant specializes in pizza, pasta and nothing else. If that’s the case, your best bet is to go to another restaurant that has better options, but if that’s not possible, you can order a pizza and eat the toppings. Yes, that’d take a lot of willpower, but if you’re determined to stay keto, it’s a valid option. Once more, communication is key: make sure to communicate your preferences clearly. Waiters and staff care whether their customers are happy, so they’ll likely be able to accommodate your needs and wishes, even if the menu doesn’t look keto-friendly at all. Italian coffee – espresso, black coffee or Caffè Americano. As you can see, Italian food doesn’t need to be ridiculously high in carbs – while the two most popular Italian dishes, pasta, and pizza, certainly aren’t keto-friendly, there are plenty of other wonderful options, especially in more authentic restaurants (or in Italy). Antipasti, salads and second courses (usually meat or seafood) are your go-to options. If you want to stay keto while eating out, communication is very important – if you let your waiter know what your dietary preferences are, they’ll likely be able to recommend suitable dishes or ask the chef to make the necessary modifications. Don’t be shy about it – after all, it’s your money, and their job is to make sure you’re having a good time and enjoying your food. If you go to Italy, it’d be a good idea to have a short note in Italian (on your phone, for example) explaining the things you can have – like this, you’ll be on top of any situation, even when you’re in the smallest village and nobody speaks any English. But with all the amazing food options there, you’ll surely have a great time and eat well. Have you been to Italy? Did you stay keto while you were there? What are your go-to choices when going to an Italian restaurant? Do you have any other tips that you’d like to share with our readers?